I have several Mitchells that I would like someone to strip down and paint in different colors. All solid colors for my kids and nephews. I may be interested in doing some of the 302s I have, as well as upgrading parts in them. It is going to depend on what you can do and the price. I had Scott Corely Cerakote a 706 for me, he did great work. He's here in Navarre. Flounderpounder and -WiRtH- like this. I did mine myself. I bought a decent airbrush and small quantities of automotive paints and clear. The hard part was stripping the old stuff. That stuff was ridiculous! I think I remember you doing like a lime green & hot pink one for your wife or something? It looked badass! I have too many to do for 45-60 bucks a pop so I think I am going to buy a few colors of the duracoat and give it a shot myself. Let us know how that turns out. I've been wanting to give that a try on something, but I dont have anything important enough to me to spend the money on. Rattle can aircraft paint remover removes most factory reel paint. 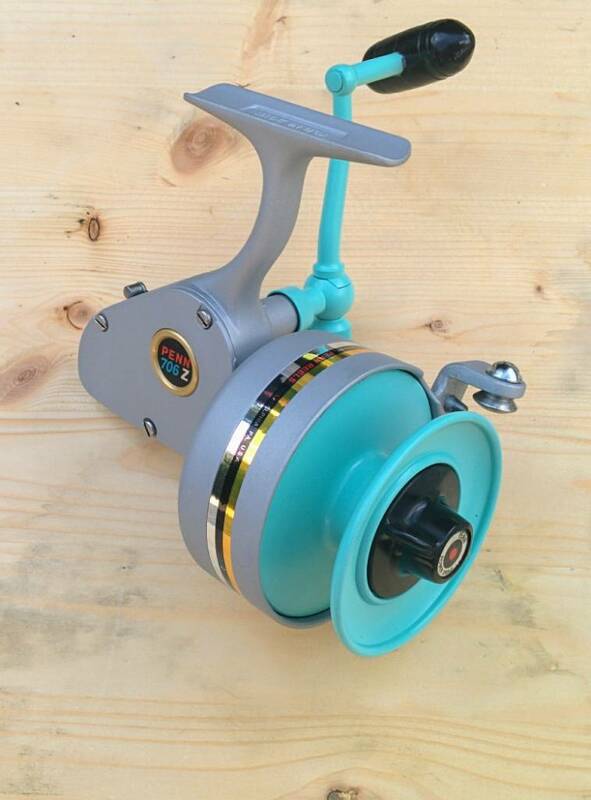 I use it to refinish Penn Spinfisher metal reels. It doesn't work well on whatever that is they used to paint old Mitchells. That stuff is bulletproof. I soaked mine for days in a jar of aircraft stripper. It got about 50-60% of the paint off. I also soaked for days in laquer thinner, paint thinner, acetone, and even had to use a mini sandblaster to get some areas off. It also took a set of dental tools to get some areas clean. But eventually, it all came off. Bead blaster would work good I would think, round beads of glass NOT sand.